Bowing to consumer pressure for bigger multi-blade razors, SizeMatters Corp. has introduced a 15-blade razor cartridge. The North Korean razor-maker has already launched the new 15-blade razor and hopes to move into the U.S. market before Christmas. 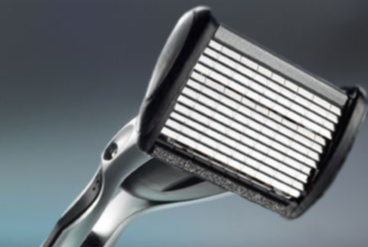 The new model tops SizeMatters’ own seven-bladed razor and has ten more blades than the dominant U.S. brands, Proctor & Gamble Co. ’s Gillette and Edgewell Personal Care Co. ’s Schick. SizeMatters’ bold move to cram more blades onto limited real estate was applauded by North Korea’s Supreme Leader, Kim Jong-un. “It is a technological revolution on par with our invention of the microprocessor,” he said. 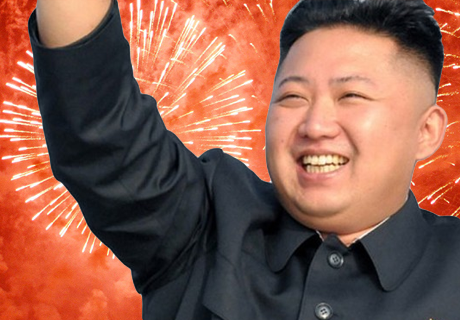 Supreme Leader Kim Jong-on celebrating the launch of the new 15-blade razor. The challenge for SizeMatters Corp. is that some already dumbfounded consumers might not equate more blades with a better shave, especially when each addition comes with a higher price tag. SizeMatters’ upcoming razor comes as sales of razors and blades are falling, due in part due to greater acceptance of men coming to the office looking like hoboes with stubble. SizeMatters started in the Pyongyang garage of inventor and entrepreneur, Jim Choo Zun, in 2012 and is a very small player, with a direct-to-consumer business of just $3,082 in 2014. The company hopes its innovative technology will allow it to expand to the US market. As for what’s next, Kim Jong-un said fifteen blades might be the max. “At least for a couple of years,” he said. This entry was tagged Gillette, Kim Jong-un, Proctor & Gamble, razor, Schick, SizeMatters. Bookmark the permalink. Are they fusion or fission powered?